This is my favorite counterfactual to date, one with truly awe-inspiring implications. In STEEPS categorization, this is a Technology and Economic/Entrepreneurship counterfactual. Futurist Jay Cornell and myself have independently proposed that the Ancient Greeks, the early Romans, and a few of the other Mediterranean societies at the time, trading with each other via ship and land, could have invented the printing press in the 2nd century BCE, sixteen hundred years before it actually emerged (1450). That’s a pretty amazing story. Let’s explore this counterfactual in some depth to convince you of how close we came to a vastly better world, ancient societies with traded printed information, a world that may even have been envisioned by a few foresighted souls, but was not successfully implemented at the time. As you may know, Bronze Age civilizations had a plentiful source of paper, papyrus, which was first invented 4000 years ago. In another critical step necessary for the print revolution, around 1050 BCE the Phonecians invented a very simple, easily printable alphabet of just 22 letters. Phonecian traders and merchants spread this clever new language across the Mediterranean (1050-150 BCE). Soon after its invention, this non-hieroglyphic model was assimilated and evolved by the Hebrews, Greeks, and several other cultures into their own equally simple and printable alphabets. That makes sense, because as we’ll see, the era from 1000 BCE to 200 CE was a particularly fertile time of social diversity and innovation. These ancient Mediterranean cultures also had metal, clay, bone, and stone cylinder seals and signet rings, which they frequently used to stamp and roll written characters into clay and wax, as early as 3000 years ago. 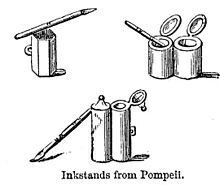 They had good inks (based on the black carbon at the bottom of a fire pit), inkbrushes and inkwells (atramentaria). They had great metalworkers that produced complex machines like the amazing Antikythera mechanism (205 BCE). They even had hinge-based grape and olive presses (2nd century BCE), and clothes-drying presses that could have been easily turned into printing presses. They were so close! Apparently no entrepreneur at the time could think of a good market-based reason for inventing movable type, which would have allowed them to use presses and ink to print maps, illustrations, and words on plentiful papyrus. Maps in particular might have been a great place to start, as all traders needed better ones. They could have started with wood block printing, then transitioned to sturdier moveable metal type. Imagine how much more advanced the world would be today, if someone had developed the foresight to see the value of that particular inevitable invention, at that very special place and time period. Why was that time period in the Mediterranean, 300 BCE to 200 CE, so special? Because this was a time and place when individuals had a lot more freedom than they had before or after. All societies swing their center of control between individuals and the leaders of society and their institutions. If wood-block printing was going to spread, it it would have had to do so in one of two ways. Either the leaders would have had to mandate it, top-down (unlikely, as technology was typically viewed suspiciously by elites) or it would have had to have diffused, bottom-up, among individual traders in the less-controlled West during this special “Golden Age” when many states’ control of their citizen’s thinking and behavior was temporarily at a minimum. 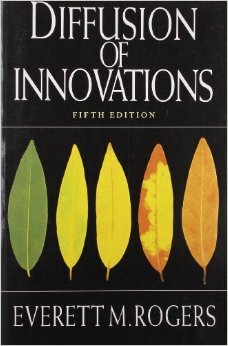 For more on cultural factors that help new innovations to flourish, see Everett Rogers classic text, Diffusion of Innovations, 5th Edition (2003). A key reason for the mental freedoms of this “Golden Age” in the West, as uncomfortable as it is to recognize, was that the new Western monotheistic religions, Judaism, Christianity, and Islam, had not yet been invented. In a state with a plurality of competing religions, or polytheism, both of which existed up to then in many Mediterranean states, people’s minds are free to debate which God is influencing them, and how. But as the three great monotheisms arose, their doctrines regulated individual thinking and behavior more closely than ever before, and new levels of state control and social uniformity emerged. What made the leaders of states so newly strong in their ability to regulate thinking, behavior, and trade was not just the emergence of monotheism, but the convergence of the “Three Mons (Greek: Oneness)” in Monarchy (autocracy), Monopoly, and Monotheism, as an Autocratic Triad of control methods. Modern complex monotheism was only the third and newest leg of the triad, but together with the other two older forms of control, it allowed leaders to roll back social freedoms—and innovations—to an earlier, more traditional state of culture. This cycle, swinging back to fundamentalism, after a period of rapid liberalization, happens in all cultures. In recent decades, we saw fundamentalist resurgence in Iran under the Ayatollahs in the 1980’s, and in Afghanistan under the Taliban in the 1990’s and 2000’s. But two millennia ago, the swing back to fundamentalism wasn’t as brief as such periods are today. Back then, fundamentalist resurgences could last for centuries, as the pace of social change was so slow at the time. Let’s look at three early examples of swing backs, in Europe, the Middle East, and China in the first millennum CE, to illustrate the point. At first each of these regions had periods of rapid intellectual advance, then each were followed by Dark Ages, as governance, economic, and religious power merged in an autocratic triad in response to disruptive change. In the Middle East, Al-Khalili’s The House of Wisdom (2012) and Morgan’s Lost History (2008) recount the Arabic Enlightenment of 570 to 860 CE, when science, medicine, and technology flourished. Fortunately for the world, the Arabic Enlightenment happened during the European Dark Ages, so the Arabic Enlightenment ended up preserving much of the texts and knowledge that was destroyed in the West. But beginning roughly two hundred years after the prophet Muhammad’s death, as the Quran was standardized, and as growing Islamic Caliphates, using the Three Mons, began competing to be more pious in applying fundamentalist laws to all citizens, places of learning were increasingly sacked (destroyed), and guilds brought the traders under state control. An Islamic Dark Age then emerged, lasting by some accounts until the collapse of the Ottoman Empire in the 1910s. China never had a state religion, as Chinese culture never invented the Western idea of God, splitting reality into natural and supernatural realms the way the Greeks did. So the state never needed to coopt religion as a third Mon. All the leading Chinese spiritual practices, including Confucianism, are more a set of teachings and moral codes than religions. Furthermore, these teachings don’t promise personal immortality, like Christianity and Islam, so they are weakly, not fervently held. Chinese citizens always viewed the state as the most important entity, in their world view. But China’s government was intensely bureaucratic and autocratic, and very restrictive of social activity and commerce, so it relied on two of the three “Mons”. So it is more accurate to say that China, unlike the Middle East and Europe, was controlled via an Autocratic Dyad, an arrangement sufficiently strong, in that culture, to limit individual innovation and empowerment. Wood-block printing of books emerged in China as early as 600 CE, but as Arnold Pacey notes in Technology in World Civilization, 1990, in their highly controlled, top-down society only the elite civil servant class was allowed to read. China’s dyad of state control of policy and commerce was far too authoritarian at the time for printing technology and books to keep improving and cheapening. There was no market to sell into. Thus China’s leaders mandated their society’s relationship to technology, allowing the middle kingdom to turn away from or highly regulate several very powerful technologies, including the compass, printing, papermaking, gunpowder, and various military and shipbuilding technologies, even in the cases where their own engineers historically invented these technologies first. Meanwhile in the West, for a very special period of roughly 500 years (300 BCE to 200 CE), high levels of personal freedom for individual initiative existed in several Mediterranean societies. Free city states, academies, and democracy emerged in Greece, and vast new libraries arose in several Western pre-Islamic countries, most famously the Library of Alexandria (283 BCE). Many clever new machines and industries emerged at this time, yet even with these first large libraries no one apparently thought to build a machine to make it easier to print and trade useful information, such as practical knowledge, art, poetry, stories, humor, news, or religious ideas. Many semiliterate customers existed in the West at the time. Humor was a big commodity in those days. Look at the funny (and raunchy) graffiti preserved on the walls of Pompeii at Pompeiana.org, for a great window into the humor, wit, and personal freedom in these early Western cultures. Let’s be clear: In several societies in this magic era, a literate group of people read, thought about, and laughed at other’s bawdy writings, scrawled on walls. In this magic era, all the children of the more literate elites, and all the semiliterate independent farmers and city states, like those in Greece, would have loved to have and trade printed pamphlets offering education, maps, lists, humor, art, entertainment, and practical advice for dealing with household issues, like Benjamin Franklin’s Poor Richard’s Almanac in colonial America (1732-1758 CE). Given low initial levels of literacy, the first pamphlets would have been more likely to be maps, art, comic books, woodcut pictures and jokes. Most of the humor would likely have been earthy, even lewd. It all would have been carefully obsequious to wealthy families and political powers in each region. But just like that Pompeii graffiti, those papyrii would have been widely read and circulated. There were no rulers, no religions, no institutions powerful enough to stop their circulation at the time! Drawings and literacy would have steadily improved, continually creating more customers in a virtuous cycle. Each person who can read becomes a minor entertainer of others, so pamphlets of tall tales, adventures, and humor would have democratized arts and learning. What’s more, before the monotheistic religions we know today won their converts, a vast number of budding religions competed vigorously and freely in several areas in the ancient world, including 1st Century Palestine. Ironically, the most successful monotheisms, if they had emerged around the same time as printing, would likely have used the new tool of print, the internet of the era, to spread their ideas and gain converts. This would have fueled an arms race in pamphlet production, as happened in Europe a millennium and a half later. Within fifty years of the production of the first book, the Gutenberg Bible, in 1454 in Europe, some 1000 presses and 8 million pamphlets of all types had been printed. A literal explosion of printed knowledge occurred. Again, one key to the print revolution’s success would have been the lack of strong state controls on trade in Mediterranean Europe during these centuries. Once there were enough customers willing to pay a pittance for such early texts, either on a black market or a legal one, this technology would not have been able to be uninvented by the leaders of the time. Given the very low capital requirements of building and running a printing press, and the ability to hide the technology, and spread the idea of it, the key prerequisites to a printing explosion in any region on Earth may be just three: developing the minimum viable idea (a moveable type press with inks and paper), customers with personal freedoms (a market), and competition. As it spread, even the Romans, pragmatists that they were, would have used printing presses in administering their Republic (509 BCE – 27 BCE) and even Empire (27 BCE – 476 CE), if the technology had gone multistate prior to Empire. They would have sought to control and tax the industry wherever they could, but at the same time presses would have gotten inevitably better, smaller, and more widespread. By the time of Empire, as in China, Rome had become a far more top-down, martial, and regimented society than Greece, with a distrust of and a need for deep control over both science, technology, and trade. The Romans closed Plato’s Academy and Aristotle’s Lycaeum in Greece via the Roman General Sulla circa 86 BCE. Julius Caesar was blamed for burning the Library of Alexandria in 48 BCE, though most of it likely survived until Emperor Aurelian in 270 CE. Thus, by the late 2nd century CE, the freedom to write, print, read, teach reading, and purchase printed information would have been increasingly hard to find in the West. The window of opportunity was inexorably closing. The early Roman Empire persecuted Christians with a vengeance, but as the religion rapidly grew in the three centuries after Christ’s death, the Romans pragmatically adopted and made it a new tool of political control. Emperor Constantine converted to it in 313, then convened the First Nicene Council to settle conflicting beliefs and standardize the new religion in 325CE (like many instititutions, modern Christianity is to a large degree a Roman invention). Persecution of other religions as “pagan” escalated steadily after Constantine’s conversion in 313, and rapidly after 375. Christianity became the official religion of the Roman Empire in 380CE, and the twenty-seven books of the New Testament were chosen by Roman scholars at Hippo Regius in 398CE, standardizing the religion for mass consumption. By the fall of the Empire in 476, Christianity’s dominance as the West’s monotheism was assured. In the process, Christianity itself was changed, from the greatly diverse, bottom-up, communitarian, antiproperty, and works-based views of its early believers, into a very top-down and formalized set of beliefs promulgated by the Church, which became a new partner to newly strong political and economic autocracies, the final leg of a new European Autocratic Triad. No religion is ever “one belief system.” Religions are always a collection of very diverse and vigorously competing belief systems, particularly at first. But in a world of print, even if the Roman Empire had inevitably fallen due to its own growing excesses, useful knowledge would have been so backed up and redundant due to that single invention that a European Dark Ages, with its deep state and religious control over information flow and ideas in a wide variety of trading states, could never have occurred across all of Europe. Even if monarchy and feudalism were inevitable forms of governance in most states at the time, in the face of much faster print-fueled innovation rates, these political systems would have had far fewer centuries of keeping humanity in their iron grip. Continental European Democracy wouldn’t have finally resurfaced in the 1700’s in France, but perhaps in the 900’s, around the time Iceland’s democracy, the Althing, the world’s oldest still surviving democracy, first emerged. In high school history, many of us learned that Europe’s Dark Ages happened at least partly due to the Fall of the Roman Empire around 476 CE, and the power vaccum that emerged in its stead. But when we analyze this period from a Three Mons framework, we see that all three of the Mons, each powerful tools of individual control, steadily improved during the last centuries of the Roman Empire after the death of Christ. All three were aggressively adopted by governments that succeeded Rome in the West. So it is more accurate to say that the Dark Ages occurred not because of the fall of the Roman Empire, but because of its rise. The tight connections between the Three Mons, state, commerce, and religion all under one person, introduced during the decline of the Roman Empire as the Autocratic Triad, ensured the Western Dark Ages lasted as long as they did. The addition of state-controlled monotheism, the last leg of the triad to emerge, was the most critical control system, as it allowed autocrats in all the states that succeeded Rome’s fall to continue to deny the search for science and evidence, and to capture the average person’s thinking, values, and behaviors in far more regimented ways than before. Read Volume IV, The Age of Faith, of Will and Ariel Durant’s amazing eleven volume work The Story of Civilization (1950) if you’d like some of the fascinating and sobering details. Every religion has many varieties of belief, and every major religion has a history of doing great good in the world, and improving human thought and action. What is at issue is never religion itself, but the way religion is used in society. In the West’s Autocratic Triad, a particularly centralized variety of Christianity was fused with political and economic control, and that was the reason science and innovation stalled. Without innovations like printing press, as real options for human society, we can argue the Triad might have been inevitable for its place and time. Without such innovations, we can argue that Greek Democracy and Mediterranean freedoms were a developmental anomaly, ideas that emerged too early, destined to fail in that “poor soil”. But once we see the possible and preferable technologies that could have been developed but were not developed at the time, by anyone who valued learning and social enlightenment, we cannot make the “Greek Democracy was too early” argument anymore. As the saying goes, “but for the lack of a nail the war was lost.” But for the lack of one good piece of foresight in the right place and time, fifteen centuries of cultural and creative stasis were able to rise in the West. At right is an abstract graphic of the progress that was lost to humanity when the Autocratic Triad converged in the West, without a printing press to counteract them. This graphic is popular on several freethinker websites. 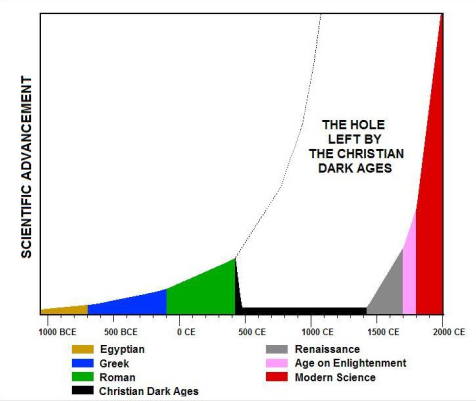 It is often titled “The Hole Left By the Christian Dark Ages.” But a better and less inflammatory title is “The Lost Millennium”. It is was not Christianity that created this long period of relapse. It was the Autocratic Triad, and a highly centralized version of Christianity that certainly does not speak for all of the Christian religion, and has little resemblance to its modern form, just as no one variation of Judaism, Islam, or any other religion speaks for all of the practitioners in each faith. We need to take care not to denigrate the beliefs or practices in any religion. The world’s major religions were humanity’s first “science”, our first systematic search for higher truths. We all have unproven beliefs about life, the universe, and moral values. We also all belong to formal or informal communities that practice our beliefs. As ways to ennoble selfish, impulsive, violent humans, many would agree with the proposal that religions have, on balance, been a force for great good in the world. As long as we continue to reform our religious communities to be in line with growing scientific understanding, they will continue to be major forces for social good. We return to the topic of religion in Chapter 12, when we discuss the dangers of being a scriptural rather than an evidence-based futurist. Whether we like it or not, there appear to be objectively better paths that societies can take, either now or later. One of those paths is the ethical accumulation of useful knowledge. A thriving printing industry in the West from the 2nd or 1st century BCE would have greatly improved our literacy, knowledge, science, and cultural memory. Had it emerged, we would certainly be living in a far more advanced world today, with many of our current problems being distant memories of an earlier, more primitive era. Let’s say it again: foresight matters! What great ideas, what highly valuable probable and progress-generating developments are we missing or devaluing today? Latent foresight sits underused and underappreciated all around us today. It is an immensely rich resource, and every year we get better at believing it is there, and learning how to mine it. That may be the most exciting and important idea we can convey to everyone reading this Guide. Never heard of this point of view before in any of my history classes. It would have raised my interest in the subject 10X. What a remarkable method to add to the teaching of history, especially for young, more optimistic minds. Maybe some are doing it now. It clearly takes careful research to make a useful and credible counterfactual. It can amplify understanding of the pure and factual history and elevate it to a study of vital human evolution vs. only pure dogma. Also the three Mon’s (counter to individual freedom) argument fits very well with the cultural pessimism that has evolved today… perhaps we need four M’s –three Mon’s plus Mass Media, all of which exploit the amygdala. Thanks for your lovely comment Dorian! I think we’ve fixed the links, thanks. To your other points, I couldn’t agree more! Just like a good future vision, it is a great mental exercise to find a good counterfactual. Most of our counterfactual stories, like most of our stories of the future, just don’t survive critique by a cognitively diverse group of readers, or they ignore some critical past processes or data, once you get into the history. But the ones that do survive critique can be very informative, and motivate us to be more foresighted today. We plan to eventually produce a nice book of them. I agree, using both progress counterfactuals and dystopian counterfactuals in history classes would be a great way of making history more exciting and future-relevant. Once our book is done, we’d like to challenge history professors to challenge their students to find more of them. Let me know if you’d like to help with that project in any way. As to your point about the fourth M, Mass Media, I would agree that it certainly belongs in our models for social control since the 1920’s, when we got our first real mass media, Radio. Newspapers were a mass media before then of course, though with literacy levels still low in the early 20th century, some would argue they weren’t Mass with a Capital M.
Fortunately, as I argue in Chapter 2 (soon to be posted), the arrival in the next two decades of smart agents and personal sims will soon allow us to create personalized media that finally have the sophistication to rival the Mass Media. We’re already seeing the first glimmers of that, in a negative way, with the Filter Bubbles emerging on today’s first-gen, still unintelligent, social media platforms.